M&S have certainly come up with quite the festive range this year and there is so much to choose from that it is hard to pick just one. We had the most surprisingly good Gingerbread Chocolate Teacakes, the what the heck are these Winter Berries & Prosecco Crisps, and today it is the turn of the M&S Christmas Pudding Iced Buns. Despite being tucked away on the bottom shelves these immediately caught my eye. Oh so festive looking, M&S have given the humble iced bun a christmassy twist. The M&S christmas range has got some quite pricey numbers but these pair of buns will set you back a very reasonable price of £1.80. As like most things they never look as good as the picture. 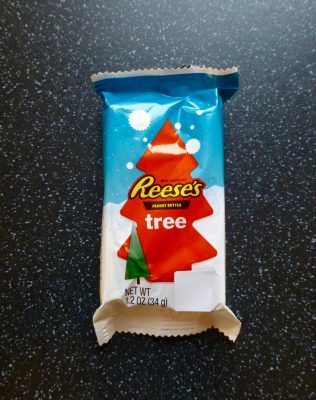 My first thought was where is all the brandy filling? Taking a bite I was apprehensive that these were going to be dryer than the Sahara desert but thank the bakery gods because there wasn’t a dry crumb in sight. The dough was bouncy and light, the sultanas juicy and in abundance, and most surprising there was actually quite a lot of filling lurking in there. The brandy sauce was blooming delightful and with enough brandy flavouring to please even the Bezza. The soft icing was exactly that, it had a subtle vanilla flavouring that helped lighten the other stronger flavours and the spices although not as warming as I’d have liked, still gave it a christmassy feel. 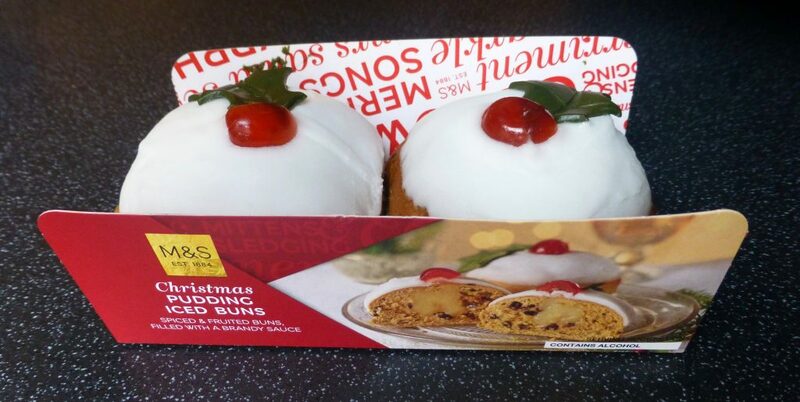 I am blown away by these M&S Christmas Pudding Iced Buns. There was no need for my apprehension because these buns were a treat. 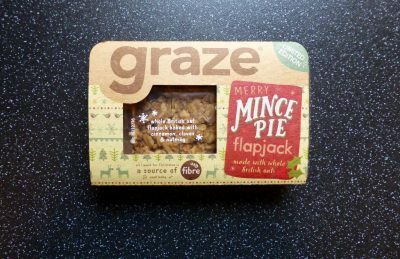 Definitely one of my favourite snackmas goodies this festive period and I encourage you all to go get your self a pair of buns and embrace this christmas pudding variation.